NewMember - nosh clean. nurture your soul. Membership - 24% off all products along with other member perks like the Essential Rewards program and more. Please dilute your oils. Especially when using for the first time or with children. *Once you get your own starter kit, your sponsor will connect with you and go over more safety tips and suggestions in detail! 1. Apply topically on your skin. Dilute them with a carrier oil like coconut oil or grapeseed oil. They are quickly absorbed and effective. 2. Use aromatically in the diffuser or by inhaling them from diffuser jewelry or after putting some on your hands. * NOTE: Oils from the Regular line are the same oil as the vitality line. For example: Peppermint oil from the regular line and Peppermint oil from the vitality line have different labels (per FDA rules) but are the SAME OIL. The “Swiss Army Knife” of oils with many uses. Lavender is very relaxing when applied or inhaled. DIFFUSER: Put 4-8 drops in your diffuser every night (or during nap time). Promotes a restful night sleep, health, love, peace, and a general sense of well being. TOPICAL: Apply to vita flex points or area of concern. Lemon Essential Oil and Lemon Vitality are cold pressed from the rind of the fruit, giving its aroma all the brightness of the freshly picked fruit. Contains d-limonene (an oil nutrient called a terpene) and high in antioxidants. A drop of Lemon Vitality in your water to support your body with a natural detox. Add a drop in a bowl of water and soak your fruits and veggies for two minutes to clean off nasty petrochemicals. Use as a “goo-gone” for sticky residues, Crayola and marker. Lemon essential oil is invigorating and warming, soothes, calms, and promotes clarity of thought when inhaled. Diffuse when feeling sluggish or in need of clarity and mental focus. Great to diffuse when completing tasks such as studying or working. It has been widely used in skin care to support healthy looking skin. 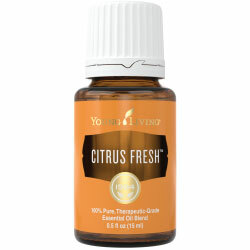 *Citrus oils contain phytotoxins which cause skin sensitivity when exposed to the sun. Avoid direct sunlight for 12-24 hours after use. Fantastic addition to flavors that complement citrus. Lemon Vitality also supports a healthy circulatory system. Lemon essential oil is cold pressed from the rind which means there is no citric acid in it. Therefore lemon Vitality tends to be easy on the stomach when ingested and preferred by many in water vs. squeezing lemon juice into water. *Citrus oils are amazing at breaking down petrochemicals. Always use glass or stainless steel containers when mixing with food or beverages intended to be ingested. Peppermint Essential Oil is steam distilled from the leaves, stems, and flower buds of the mint plant. Peppermint is one of the oldest and most highly regarded herbs for soothing digestion. Peppermint essential oil is much stronger than the dried herb. 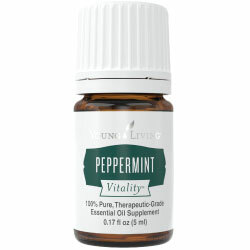 For example, 1 drop of Peppermint oil has the same benefit as drinking 26 cups of peppermint tea using the dried herb. DIFFUSER: Has an uplifting aroma. Great to inhale during mental tasks as it can help with mental alertness and concentration. Peppermint is invigorating, purifying, and stimulating. May also help with anger. TOPICAL: Rub onto stomach and Vita Flex Points after a large meal. Peppermint is cooling and soothing. Applying Peppermint NEAT (no carrier oil) to the back of your neck on a hot summer day will help you cool off. If you do not like that cooling sensation, add more carrier oil to dilute on your skin. To cool older children down, dilute and apply to feet. Rub on temples to relieve head tension. INTERNAL: A perfect after meal oil. Caught a case of the hiccups or having head tension? Put a drop of peppermint on your thumb and place thumb on the roof of your mouth. Use this oil to add a minty flavor to any food. With Frankincense's AMAZING abilities in the body and it’s extensive distillation process, this one is very popular and highly adulterated. You do not want to order this from anywhere but Young Living to assure you are getting a 100% pure product. In order to collect the Frankincense resin, they scar the bark of a 40+-year-old Boswellia Tree. The tree, trying to protect itself, leaks a resin through the scarred area. The gum resin is collected and stored in caves for three months and then goes through a 6-12 month distillation process. So basically your Frank took a year to get perfectly in that bottle for you. No wonder it is so adulterated and diluted by other companies. Frankincense is an ancient oil also considered a holy oil in the Middle East. We know that it was given to Christ at the time of his birth and valued more than gold at one time. The uses and benefits of Frankincense date back way before the time of Christ to the Egyptians and Sumerians. 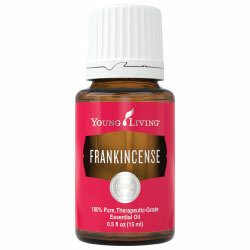 You can find Frankincense referenced in the bible 52 times. Add a drop to your daily moisturizer. Apply to wrists before quiet time. Add 1 drop of Frankincense Vitality to your daily wellness capsule. DIFFUSER: It is uplifting and centering. Put 4-6 drops in your diffuser and enjoy the rich, deep, warm, balsamic, sweet aroma. Diffuse when needing to feel grounded or during meditation to connect with your spiritual side. TOPICAL:Apply daily to face or any area of concern. Trust us, you won’t regret it. Who doesn't love the idea of 21-year-old skin forever! *Dilute when using with small children. INTERNAL: Frankincense Vitality is a wonderful oil to place in a veggie capsule and consume daily to support emotions, your Immune system, and nervous system. You can also dilute one drop in 1 tsp honey and mix in 8 oz of water for a morning tea. 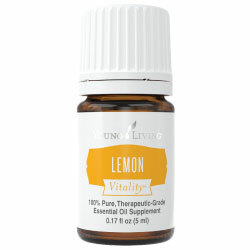 We also like to add one drop Lemon, Peppermint, and Thieves vitality for a wonderful digestive and immune tea. Clove - Cleansing. May help create feelings of protection and courage. Lemon - Cleansing. Promotes health, physical energy, and purification. Invigorating, enhancing, and warming. Cinnamon bark - powerfully purifying, may help oxygenate and is an enhancer of other oils. Stimulating. Eucalyptus Radiata - One your respiratory system loves. Rosemary cineol - Energizing the solar plexus and may reduce mental fatigue. Most popular blend in the Young Living line. Thieves blend was inspired by the legend of four thieves in France who used these herbs while robbing the dead and dying. Thieves vitality is highly regarded for its ability to support the immune system and oral health. Thieves Vitality tea when you need to stay above the wellness line. Diffuse to cleanse the air and keep everyone healthy. A drop on your toothpaste to promote good oral health. DIFFUSER: 4-8 drops in your diffuser for a warm cinnamon/clove fall scent. This goes in the diffuser double time when doing activities around a lot of people or during season changes. (school, travel, fall, winter, spring transitions etc). TOPICAL: Please dilute Thieves oil before applying topically. Clove is considered a hot oil. To avoid irritation or any burning sensation to skin please dilute with a carrier oil. 1 drop per one TBS for children* and 1 drop per ½-1 tsp for anyone else. If you apply and it does feel too warm, apply more carrier oil to skin to dilute even further. 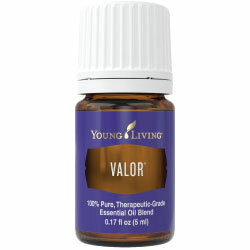 1 drop Thieves and 15 drops V6 oil or carrier of choice and massage the thymus and under arms. INTERNAL: Thieves Vitality is an amazing oil to use on a regular basis to support your immune system to stay above the wellness line. 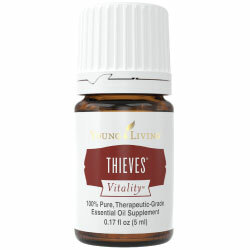 We recommend using Thieves every other day in a veggie capsule or tea along with your other regular oils. Stinky Shoes: Place a few drops on a cotton ball and place into shoes. Fresh Vacuum: Use a few drops in your vacuum bag or filter to freshen your vacuum. Calm and Collected: Diffuse 4 drops in a quiet space to calm down and relax. DIFFUSER: Diffuse this in the home, office, car, hotel room to provide a fresh scent. Diffuse on and off throughout the day when you need to feel uplifted. Put a few drops on a cotton ball and put it in the bottom of your trash can or diaper pail. TOPICAL: Apply to Vita Flex Points on ears, feet, and temples. Avoid exposure to direct sunlight for up to 12 hours after use. Dilute and rub over chest before and after a workout. Diffuse at night before bed. Apply to bottoms of feet in the afternoon for lungs. Inhaling this oil from the diffuser or diffuser jewelry will help the oils run right through your nasal cavity and straight into the lungs providing lots of benefits. Dilute 50:50 with V6 or carrier of choice and massage into chest, back, and feet and Vita Flex Points. Rub around ears, neck and throat before bed for a quiet night sleep. *Not recommend for small children. With older children, dilute 1 drop in 1 Tbs carrier and apply to the bottom of their feet on Vita Flex points for chest. Our number one travel buddy. It may not be the best smelling blend, but it WORKS. Tarragon - May help with sluggish digestion. Ginger - Warming, uplifting and empowering but calming on the digestive system. Lemongrass - May wake up the lymphatic system, and help with the flow of oxygen. May help uplift the spirit too. Anise - Calms the digestive system. Patchouli - Calming and relaxing. Use diluted over abdomen for normal digestion. Take DiGize Vitality in a capsule after meals. Use DiGize Vitality in a capsule daily during that “time of the month”. TOPICAL: Apply DiGize to the vita flex points on your feet and ankles that relate to the stomach. Apply directly on your stomach. Option to apply as a warm compress on the abdomen. INTERNAL: DiGize Vitality supports the digestive system. Great to take as a daily supplement. Dilute 1 drop in 4 oz. water or milk (almond or rice) and sip slowly. You can also put 1 drop in a veggie capsule with your other daily vitality oils. Wintergreen - Contains 99% methyl salicylate (google it!). May help when applied to areas of discomfort. Helichrysum - Your circulatory system will love this one. It also may help one let go of angry feelings. Peppermint - Soothing and cooling. Refreshing cooling soothing blend. Most popular in muscle creams for pre and post workouts and in creams for achy hands and joints. Diffuse for soothing, calming, cleansing effect. DIFFUSER: Diffuse 4-8 drops for a cooling, soothing aroma. Not a good blend for young children or pets for diffusing. TOPICAL:Dilute and apply to muscles and bones as needed. Apply a compress on spine, and apply to Vita Flex points on feet. Apply on location for muscles, joints, or other tender areas. *NOTE: Frequency is key with essential oils and more effective over increasing quantity. If you feel like you need it MORE than yesterday don’t double the number of drops but rather increase the frequency of use. 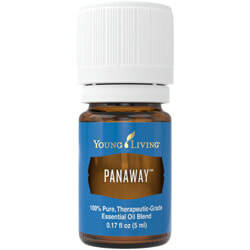 For example: If you make a rollerball of 10 drops PanAway and feel like you need it more. Use your rollerball every 15 minutes on the area for an hour then every 30 min for an hour then every few hours vs making a rollerball with 20 drops and applying 2 times a day. It is well known that those who live with high stress tend to have a weaker immune system and are more susceptible to other health problems. This beautiful blend of essential oils can help keep acute everyday stress and anxiety at bay allowing you to get a restful night sleep and live a healthier and happier life. Copaiba - Extremely high in B-caryophyllene (look it up!) 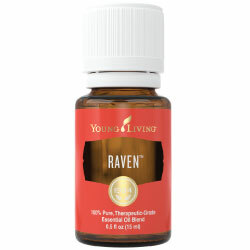 helps to elevate mood and magnifies the properties of other oils. Lime - Fresh lively fragrance. Both stimulating and refreshing. May help overcome acute depression. Ocotea - Emotional life saver. Lavender - Relaxing and promotes health and a general sense of well-being. Also contains Vanilla (Non-essential oil) - Calming. Apply roller top and roll on wrists and behind ears while driving. Diffuse in the afternoon or evening to calm the family. DIFFUSER: This gentle sweet aroma helps calm the nerves and promotes a relaxing atmosphere. Put 4-8 drops in your diffuser when you are feeling angry, or having acute stress or anxiety. TOPICAL: Our favorite blend to put a roller top on. Keep this in your pocket or purse at all times. If at any time you are feeling like you need to calm down, pull out your Stress Away and apply to your wrists, behind ears, temples, and neck. Inhale of wrists with 3 slow deep breaths. 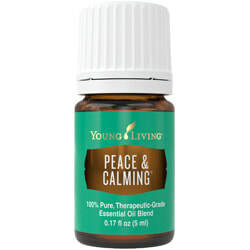 Peace & Calming is one of Young Living’s most popular essential oil blends. With a calming, sweet aroma, this blend is one you’ll love using during your children’s bedtime and for yourself after the house has settled down.